Submitted by Sajj89 on 06/03/2019 - 01:53. Submitted by Sajj89 on 25/02/2019 - 19:58. Eager to know who Section in the Spotlight is this month? The section comes from the biggest city in region of Central Finland, their members can be met basically at every ESN Finland event. Sit down with a cup of coffee and give a round of applause to ESN Jyväskylä for organizing FInsight VI: Inter-personal skills & well being from 1st-3rd of February. ESN proudly presents: Social Inclusion Days! Submitted by Anna Nikitina on 04/12/2017 - 20:50. A blog post by Daniela Mård, National ExchangeAbility Coordinator. 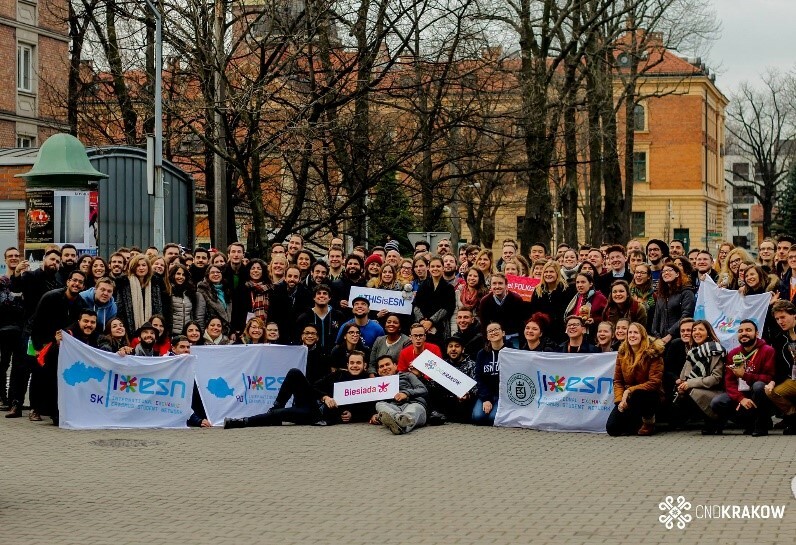 A blog post by Petra Hannus, National Training Coordinator of ESN Finland and President of ESN Vaasa. "As a newbie ESNer, I didn’t know anything about Eduk8. It took until NP Otaniemi (autumn 2015), when Lucas Opperman and Stanislav Staněk held a presentation plus that I also approached them with my questions, that I finally understood it better. Non-formal education, learning from each other, developing soft skills, and better understanding ourselves, some key words that really spoke to me." Submitted by Anna Nikitina on 11/10/2017 - 17:48. A blog post by Marjut Jalkanen, former ESN Jyväskylä and ESN Finland board member, Eduk8er and the Community Manager of the international Eduk8 team. "I can point out three really good decisions that I have made in my life: 1) joining ESN, 2) joining ESN for the second time, 3) applying for a spot in Eduk8 Starter. I don’t know which one of them was the best." A blog post by Sajed Rabbani (ESN Joensuu). Social inclusion: What can we (ESN) do about it? – Yes this was topic of this year’s ESN Academy which was held in the beautiful city of Sarajevo in Bosnia and Herzegovina. Submitted by toni.tamminen on 22/12/2016 - 14:57. As we all might know, finding accommodation can be difficult or, frankly, even impossible in many countries and cities and especially in capital regions. Shortage of housing and lack of interest towards short-term tenants are just some of the core issues faced in international student housing. This is where HousErasmus+, a new ESN project supported by the European Commission, comes in with an aim to improve housing situation of exchange-students. Submitted by mael_kimmerlin on 12/12/2016 - 22:20. It all began with a very stressful period. Three days before... Having a glance at my emails, I noticed one from Lufthansa. Our flight to Zagreb had been cancelled!! Anni and me rebooked our ticket to another flight on the following day. But the next day, we again got an email, our flight was cancelled again! I was fortunately able to book a ticket for a third time and finally reach Zagreb. Submitted by Alina Dubinina on 07/12/2016 - 12:26. Submitted by Alina Dubinina on 07/12/2016 - 12:24. ”What if I don't understand anything they are talking about there?” ”What if they ask me something and I don't have any idea what to answer?” These we a couple of my thoughts, when I started my journey to CNR Malta. Council of National Representatives (CNR) is an international meeting of ESN, where the National Representatives of all ESN countries come to talk about strategic issues and represent the interests of their countries. Submitted by Alina Dubinina on 03/09/2016 - 17:10. Dmitry Buiskikh from ESN Aalto shared a story about his adventures in Szeged! 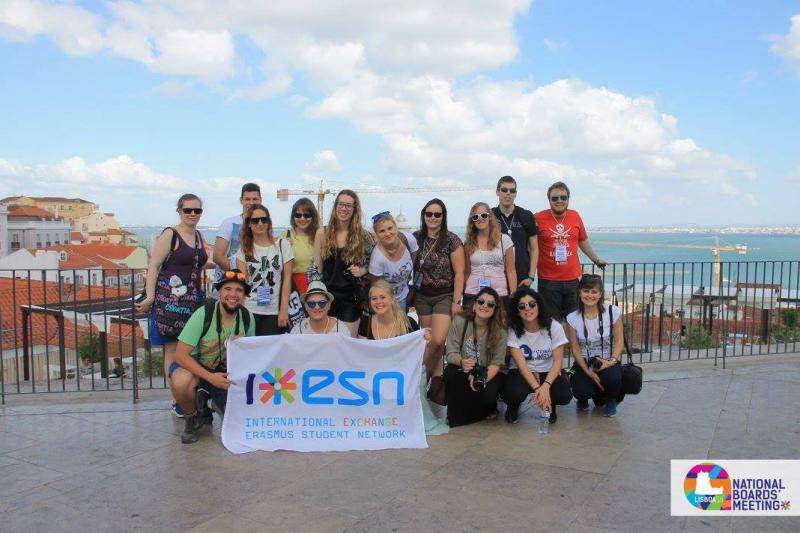 Peacebuilding through intercultural communication - that was the theme of ESN Academy 2016 edition that was held in Hungary in June in a lovely city of Szeged. National Boards' meeting in Lisbon: the first international event for the new National Board to attend! Submitted by Alina Dubinina on 14/07/2016 - 10:57. What do FInsight, Mars and neurons have in common? Submitted by Alina Dubinina on 01/07/2016 - 09:25. Humans want to go to Mars, and ESN Finland wants to shoot for the stars. So we built FInsight: a national “rocket ship” full of the newest team building, character building, and brand building technologies, and more! Submitted by Annika on 24/05/2016 - 11:22. Many people found their best friends during this trip. It is a great way for the Erasmus students to spend a lot of time together, to bond and to have fun. Submitted by Annika on 14/05/2016 - 16:25. "As the end of the mandate was getting closer, we, reminiscing the growing pains of the year, wanted to give the next board a flying start." Submitted by Annika on 24/04/2016 - 14:35. A few weeks ago, Warsaw was hit by a wave of Funland spirit! A National Platform through the eyes of an NB candidate: scary and exciting at the same time! Submitted by Annika on 28/03/2016 - 16:16. A National Platform is one of the best ESN events. If you want to meet people with similar interests, know more about ESN or you have a hug deprivation – this is a must-go. Submitted by Annika on 21/02/2016 - 14:12. Anna from ESN Lappeenranta visited the German National Platform in Jena and was overwhelmed by all the love and ESN spirit - not to mention the 15/100 people that had spent their Erasmus in Finland. Submitted by Annika on 14/02/2016 - 13:14. On the 14th of February, we here in Finland celebrate friendship. For us, today is the day when no one should feel alone.